While everyone may be on school holidays in South Africa at Bush Radio it is always a good time to brush up or learn new skills. In the first week of the holidays Bush Radio hosted the UNESCO Empowering Local Radio with ICTs for Bush Radio and Radio Atlantis. The second week saw the young people who are part of the Children’s Radio Education Workshop (CREW) get further practical training. Tomorrow, Saturday the 6th April 2013 sees the relaunch of the on-air part of Bush Radio’s Children’s Radio Education Workshop (CREW) project which has been running since 1996. 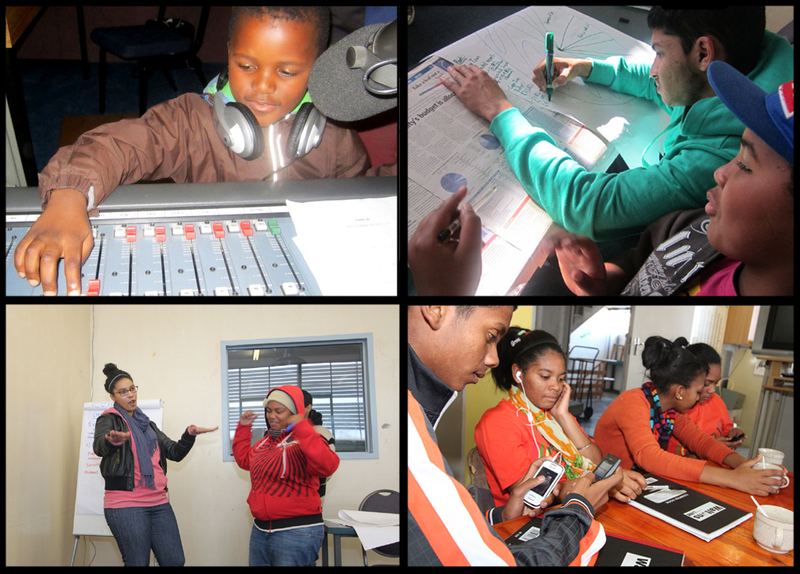 For the past week at the Bush Radio studios a group of young people drawn from various parts of Cape Town have been receiving introductory radio training and workshopping various topics for the programmes. The CREW on-air programmes (Tots, Kids and Teens) are produced and hosted by the young people themselves – they are responsible for generating the content. It will be broadcast on 89.5FM as well as online. The tots start at 9am, kids at 10am and the teens at 11am. The CREW 2013 project is made possible with the support of FES Media.